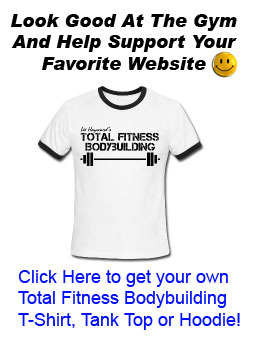 – How many days per week should I workout? – How many exercises should I do for each body part? – How many sets and reps should I do? – Should I lift heavy weights / low reps or light weights / high reps? – How often should I train each body part? In this blog post I’m going to cover this topic in more detail, my main goal is to try and clear up some of the confusion about working out. While providing you with a sample 12 week workout program that you can follow to make some solid muscle and strength gains. Like I already mentioned, there is really no RIGHT or WRONG way to workout. You could ask 10 different bodybuilders to explain their workout routine and most likely you would get 10 different answers. That is probably the most important thing to remember for making consistent progress with your workouts. You can follow most any type of workout routine and you will make good progress for the first few weeks (provided that you are getting adequate nutrition, rest, etc.). But generally after a few weeks of following a set workout program your progress will start to slow down and eventually you will no longer make progress with that routine. Our bodies are very smart and naturally accommodate to stress. Your body will add as little muscle as necessary to get the job done. This is why construction workers get only big enough to handle the exact amount of work they do during a days work and no bigger, even though they are doing physical work All Day Long. Adding muscle is a very unnatural thing to your body. You must constantly throw “curve balls” at your muscles to get them to grow. Generally, you will make the best progress for the first 3 weeks of starting a new workout routine. After 3 weeks your body starts to adapt and your progress will slow down. Now this doesn’t mean that you can’t continue making progress after 3 weeks of following a particular program. But for the most part you’ll see your fastest results (i.e. muscle gains, strength gains, or fat loss) during the first few weeks of starting a new routine. 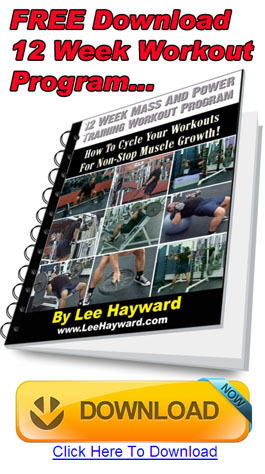 So to maximize these mini 3 week growth spurts, I designed the following workout program into 4 different 3-week workout cycles that you’ll follow back-to-back in order to make a 12 week workout program. This program requires you to workout 4 days per week. Ideally you would workout on Monday, Tuesday, Thursday, and Friday. And rest on Wednesday’s and weekends. But if this doesn’t fit your schedule you can workout on other days of the week. Just make sure that you do not workout for more then 2 days in a row before taking a day off. By doing this you will give your body plenty of time for recuperation and muscle growth. Muscles do not grow while you are working out; they grow while you are resting. Working out will stress and damage the muscles slightly. Then your body reacts by building up the muscles in order to handle the extra work and stress. With each of the exercises do as many warm up sets as you need to get to your top working weight. Then perform the required sets and reps with the same weight. So let’s just say your top weight for 5 sets of 5 reps is 100 lbs. – Do one warm up set with 50 lbs. – Do another warm up with 75 lbs. – Then go to your top weight of 100 lbs. and perform 5 x 5 with 100 lbs. If you get all 5 x 5 with good form, then up the weight to 105 lbs. for your next workout and repeat the process. If you can’t get all 5 x 5 or you found them extremely difficult, keep the same weight for your next workout. Weeks 1, 2, and 3 do the following weekly workout routine. *You can super set the leg raises and sit ups back and forth. *You can super set biceps and triceps back and forth. Keep records of the exercises, weights, sets, and reps that you do. Each workout try to beat what you did for your previous workout. With the squat, dead lift, and incline barbell bench press try to add 5 lbs. to the bar each week and do the same number of sets and reps. Weeks 4, 5, and 6 do the following workout routine. *You can super set leg extensions and leg curls back and forth. Keep records of the exercises, weights, sets, and reps that you do. Each workout try to beat what you did for your previous workout. With the decline bench press and the bent barbell row try to add 5 lbs. to the bar each week and do the same number of sets and reps. Weeks 7, 8, and 9 do the following workout routine. Keep records of the exercises, weights, sets, and reps that you do. Each workout try to beat what you did for your previous workout. With the squat, partial dead lift, and flat barbell bench press try to add 5 lbs. to the bar each week and do the same number of sets and reps. Weeks 10, 11, and 12 do the following workout routine. – 4 sets of as many reps as you can do. If you can do more then 10 reps, add weight. Keep records of the exercises, weights, sets, and reps that you do. Each workout try to beat what you did for your previous workout. With the weighted dips and leg press try to add 5 lbs. to the bar each week and do the same number of sets and reps.
Each 3 week phase of the 12 week program is different. As the weeks progress you’ll be focusing on training the muscles with different exercises during each phase. And the reps you perform for the exercises will vary during the weekly workouts. This will ensure that the muscle stimulation provided is unique and fresh and this will help to keep your body on the “anabolic edge” for maximum muscle growth. Training like this will allow you to make consistent progress over the long term. These short training cycles work perfectly with our body’s natural adaption and growth patterns. Like I mentioned before, our bodies are very smart and quickly accommodate to stress. Adding muscle is a very unnatural thing to your body, so you have to constantly throw “curve balls” at your muscles in order to get them to respond to your workouts and grow. After you complete this 12 week workout program you can go through the entire program again and strive to beat your personal best lifts from the first time through. Or if you want, you can move on to something totally different to better suit your training needs. 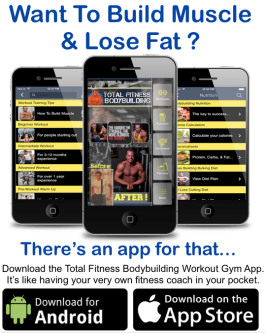 And if you are looking for a more advanced and in depth training & nutrition coaching, then I’d recommend you sign up for the Total Fitness Bodybuilding “Inner Circle” Coaching Club. This is a private members only club where you can work directly with me and get personalized help with reaching your muscle building and fitness goals. As a member you’ll get set up with your very own diet and workout program for building muscle, burning bodyfat, and quickly achieving your personal fitness goals. Leg curls. leg extensions and leg press are the worst movements for the legs. Not only do not work to build the legs equally they put to much stress on the Knees and Joints. 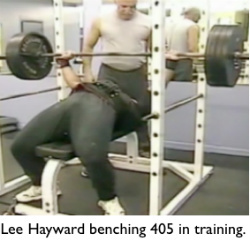 The Leg Curls while lying on the stomach causes undue pressure on the lower back and from everybody person I have ever seen including me do this exercise totally wrong by lifting up off the bench to pull the weight, this so wrong. It hurts the lower back and does nothing for the squads and beside this is not a normal movement of the leg so why do it. Leg Extensions pull the ligaments and knee joints in a direction it is not meant to go and caused pain and can cause osteoporosis of the joints and it builds the squads and not the hams so why do it. The Leg Press if the worst for the legs because it works only the hams and not the squads but more importantly this is another unnatural movement and it causes the back to hurt and the knee joints to work overtime as well the rounding the spinal area. This is a dangerous exercise, actually all of the ones I mentioned are. Do your research and you too will see. The natural squat with a straight bar and not the SMITH MACHINE is better all around for the legs. The Lounge with weights or no weights is also a better leg builder as it the Swiss Ball squat against a wall using your own weight. People think before using what these so called “experts” tell you. If you are doing these things and they hurt after you do it and you see no gain because it hurts to increase the weight, then ask yourself, why do it, find another way. I used to be a bodybuilder until I had a severe car accident that cause some muscle damage, but I still work out as best as often as I can but not to level I used to. I am 50 years old and can still bench over 325 and squat over 450 so not bad for an “old man”. as it were. Nevertheless, do your homework. Wonderful Lee!! Thanks a bunch for being personnel trainer for millions of ppl.. This is MY workout. I bought this workout sometime back. I’ve worked my way through it 3 or 4 times so far. I always look forward to doing each workout. I can only workout 3 days a week, so the phases take me longer to complete, but it’s still a great workout. I workout at home and I’ve had to substitute a few exercises oly available in the gym. On balance tho, this is the best worout I have ever found worth doing. Just out of curiosity, At one time, I continued through the 6 cycles in a phase because I felt I could make more progress and I did. I’ve never really hurt myself doing this workout. This time around, I’m using this workout but I added some pre-exhaust sets befor each exercise. I also added a set of 20 push-ups between each exercise. The basics are in this workout and it is always worth doing..
Will give this work out a try. I’ve had some awesome results following your 21 day fast mass building program. This workout just doesn’t look like it has enough to make you grow! It has one excercise for biceps and one for triceps! Can some tell me how this will make you grow! It’s all about providing unique muscle stimulation. And varying your training volume is another variable that you can manipulate. Often times focusing on progressive overload with a select few moves can produce better results then doing multiple exercises. Good stuff glad you are seeing results with the workout. Keep it up! To each there own, I don’t personally believe there are “good” or “bad” exercises. It all depends on the individual and their situation. Obviously if you don’t like a certain move, or can’t do it, then don’t do it. But as for leg extensions and leg presses I know guys who have built huge legs by including these moves in their workouts. Way to go, glad to hear you made good gains with the 21-Day Fast Mass Building Program. Please read the opening papragraphs again, there is no correct workout, this is simply an idea of what you could do. If you dont like it dont use it, dont sit there behind your keyboard explaining why a certain workout doesnt seem right for YOU ! if i had a dollar for every wanabee bodybuilding writing rubbish like this on any workout plans id be a billionaire. Wow! Thanks for sharing! I will try some of the workouts! Keep posting! my name is simar..your big fan from india..i just started gyming 3 month back..i continuously read ur article and programs..now i am going on your 12 week program..i must say it is awesome workout program.. i am gaining alot with dis…in jus 2 week weeks i saw much improvement in ma legs ans shoulders as well as in chest..thanks a lot big bro for sharing ur experience with us.you are a brilliant coach..
First of I like to say I’m a big fan of what you are doing. I’ve watched all your videos and read your blogs. I’m currently doing this 12 week program and I like to say that I’m real impressed so far with how it’s put together. 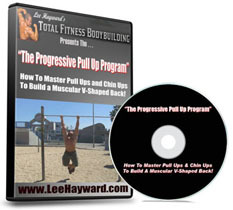 I’ve been doing many different programs, from ones that I put together to ones that my trainer gives me. The set and rep combinations are something different then I’m acustomed to an it varies from workout to workout. My question is how long should I rest for in between sets like for example when I’m doing squats, dead lifts or bench with the high sets low reps. I try to shoot for 45 seconds between sets and then move on to the next exercise without much rest, just long enough to put the weights back. I look forward to your reply and thanks for all the great info and key tips. Keep up the good work. Rest 2-3 minutes between large compound exercises like bench press, squats, rows, deadlifts, etc. And rest 1-2 minutes between smaller exercises for muscle groups like arms, abs, calves, etc. exercise group to a 4 day body split? Let’s say I was stuck at 6×160 pounds on the benchpress. I decided to do a strength cycle (3 reps), now I’m at 3×180 and I wanna go back for mass. I should lower the weight right ? I can’t do 6*180. But should I go back to 160 or put more ? Thanks in advance for your time and efforts, you’re a great reference to me !